Whether you’re a weekend DIY dabbler or a committed self-builder, these 10 dynamite DIY bloggers will motivate, inspire and guide you towards the pinnacle of your home improvement potential. Read, learn and enjoy! John Adams is a devoted dad and DIY’er. ‘If you have young children, I will wager that shoe and boot storage is an issue in your household’, says devoted dad and DIY’er John Adams. But footwear cast randomly round the house needn't be a problem, thanks to John’s vintage crate shoe storage project. You just need some vintage crates, wax, and a few fixin's. Dad Blog UK is a treasure trove of family-oriented home improvement ideas. He’s recently been deciding whether to convert the loft or move house to accommodate his growing family. Sound familiar? While you’re thinking about it, he’s got some great ideas on how to make the most of the space you have with sliding doors and clever shelves. 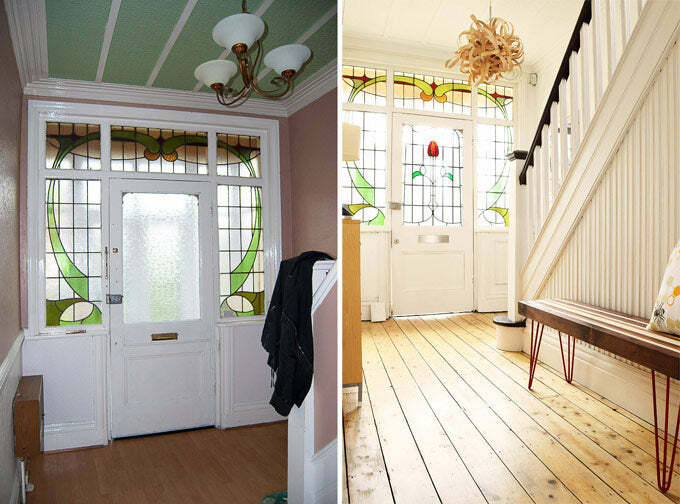 Step by step, Christine and Jan are renovating their century-old flat. Christine and Jan are the dynamic duo of DIY! Their blog, Little House on the Corner is a chronicle of their journey towards renovating their 100-year-old apartment (while leaving the original features intact, of course). And while you’re at it, give your furniture a new lease of life. They’ve got tips and tricks on how to paint wooden furniture, and how to build your own magazine rack from an unwanted old table. The folks at DIY Tips help guide you through home improvement. Pizza, anyone? ‘Your living room should be a haven... as well as somewhere you can socialise and enjoy’. So say the folks at DIY Tips, and we agree! The helpful bloggers there share four easy ways you can refresh your living room, without breaking the bank. Want a larger-scale project? DIY Tips have all manner of helpful posts on home improvement, including how to replace garden paving (planning and preparation is everything), and build a pizza oven. And for beginners, they’ve outlined the five skills you’ll need as the master of your home. Nigel has tips to share from his 20 years in the painting/decorating trade. Feel like fitting your family in your house is like clowns in a clown car? Nigel Higgins, aka the DIY Daddy, understands. He’s the dad of five! That’s why he wrote his post on fitting a large family in a small house. The key? Embrace being close, and find furniture that folds! An experienced painter and decorator, Nigel’s the guy to turn to for home improvement ideas, like how to spruce up the outside of your house with a coat of paint. In fact, he’s got the lowdown on how to master any DIY project you might be facing. Along with the right tools, materials and knowledge, practice and repetition are the keys to mastery. Self-build is more than just about houses! If you’re thinking about embarking on the ultimate home project – a self-build – take a look at the blog of Allan Corfield Architects. Based in Scotland. This firm is dedicated to helping people take this step. They blog about it, and even published a free e-book on the subject! ‘The typical self-builder is a resilient, driven type of person who if given the right time and information can turn their hand to (almost) anything!’ Sound like you? Then take a look at their post on what to DIY and what to outsource to professionals, and get stuck in! And if you’ve got a yen for eco-builds and renewables, they share interviews with industry leaders and ideas on how to make the most of what you install on their blog too. Think underfloor heating is just a luxury option? It’s actually becoming the norm on self-builds as prices start to fall. Kerry’s got the home renovation bug! Want to get plastered – DIY-style? Blogger Kerry has put together a cheater’s guide to plastering that’ll save you a bundle (she spent £38 total) and give you a serious sense of achievement. Her conclusion? ‘Six steps, low cost, bit of effort, but so bloomin' worth it!’ What’s not to like about that? Kerry’s a self-confessed ‘home-loving addict’ with a yen for acquiring ‘awesome new DIY-crazy skills’. That’s why three years after buying a ‘fixer-upper’ as their first home, she and her boyfriend Grant bought another one and started the process over again! You can follow along with their progress on her blog. Or, pick up a few skills following her handy tutorials. Personally, we want to have a go at making her cheap and easy fire pit. With a budget of just £25, it’s well worth the effort! Got the right screw for the job? Ask the DIY Doctor. Got a question about home improvement or odd jobs? Head to the DIY Doctor’s blog. With an almost encyclopaedic roster of posts on things like decorating around radiators (it’s best to remove them temporarily), and sealing timber with oils, varnishes and paints. It’s safe to say you’ll find the answer to almost any question here. 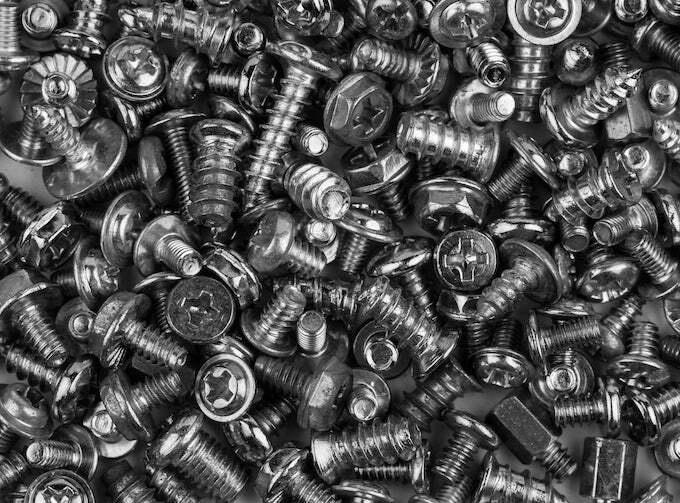 Right down to the three steps to follow to choose the best screw for your project! They even have regular competitions with envy-worthy prizes of tools and gadgets. Intrigued? We definitely are! Alice and her family are renovating their 130-year-old Victorian home. Simply the nest author, Alice is, in her own words ‘an English girl married to a Portuguese boy... I blog about our house renovation, DIY projects, and family life in a Victorian Manchester nest’. Her family’s quest to restore their house to its former glory has been a wild ride so far. When they tackled the cellar insulation, the protective clothing made them feel ‘like the DIY version of Breaking Bad’! No contraband here, though, just a 130 year old Victorian cold meatslab - used like a 19th Century fridge! Alice’s latest project is her kitchen, where she’s installed a Moroccan cement tile floor and no less than three ovens! If you need a bit of inspiration, or just a bit of motivation to continue with your ongoing projects, her before and after posts are a great place to start. The FMB has a clear set of priorities (but they’re expert professionals really)! Get a glimpse into the lives of the professionals through the Federation of Master Builders’ blog. If you’re embarking on some outdoor DIY this summer, it’s best to brush up on some health and safety do’s and don’ts to keep you and yours in top DIY condition. And when you’ve got the health and safety nailed, find out what’s the best way to eat well on a building site - even if that building site is your own garden! And while you’re it at, have a read of their post on how to brew the perfect cup of tea. This is a construction skill we should all master. Top tip? ‘The colour you are aiming for here is terracotta – think plant pot or 70-something British expats living in Spain’. Instead of saddling themselves with a huge mortgage, Vikkie (the Carpenter’s Daughter) and her fiancé bought ‘the cheapest house in a nice area with the hope that one day, after some serious adjustments, we can finally make it our haven’. Want to do the same? Vikkie’s got 15 pertinent questions that’ll help you figure out if this is the path for you. If it is, she says that ‘you’ll learn new skills for life and [it’ll]... be so rewarding’. Plus, there are lots of jobs that 'look more difficult than they really are’. Check out her YouTube channel for guidance through the renovation wilderness. If you’re at the beginning of your DIY adventure, Vikkie’s got some small, fun, easy-to-complete projects you can tackle. Ever thought of making a blackboard from charity shop finds. Or make yourself an easy workbench. After all, every DIY’er needs a good work space. Do you write a DIY blog? Or you know of some great bloggers that help you with your DIY projects? We want to know! Share the DIY love with us over on our Facebook page.